We examined 11 medical alert systems and found the five best choices for seniors in 2019. For buyers who want the absolute best response time, Medical Guardian offers best in the business service. MobileHelp offers the best technology to buyers, including automatic fall detection. 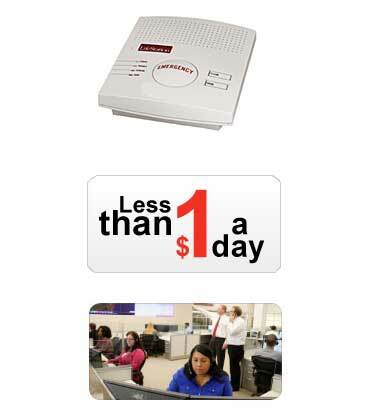 LifeStation offers the best value medical alert systems with a true 30-day money back guarantee. Philips Lifeline offers industry-leading service, with multiple product options to fit your lifestyle. Greatcall Lively Mobile is an affordable, waterproof medical alert system with excellent response time and top notch customer service. In this guide, we’ll provide tips for making a wise medical alert system purchase, examine the best companies in the business and answer some frequently asked questions. The idea of falling and being unable to stand seems impossible to the young, but it’s a terrifying possibility in day-to-day life for the motion impaired. As time takes its toll on the body, it’s important to find solutions for the problems that might arise. A proactive approach to fallws and mobility issues is far easier and safer than a reactive one. A recent study from the National Institute of Health shows periods of unpredictable isolation are a major antecedent to buying medical alert systems. In other words, consumers turning to medical alert systems to protect against the risk of falling unattended – especially if they or a loved one may be unexpectedly alone. It might be difficult for some to know what to consider when choosing a medical alert system. 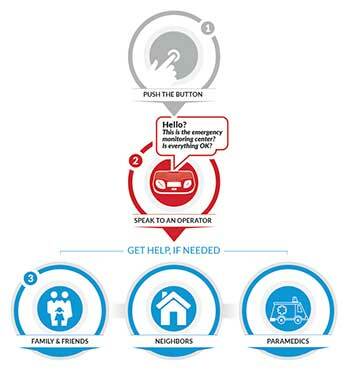 A medical alert system can call for help with the touch of a button. Some systems don’t even require that step; built-in sensors will alert the monitoring station if a fall is detected. This is an important consideration in case the fall renders someone unconscious or unable to reach the device. 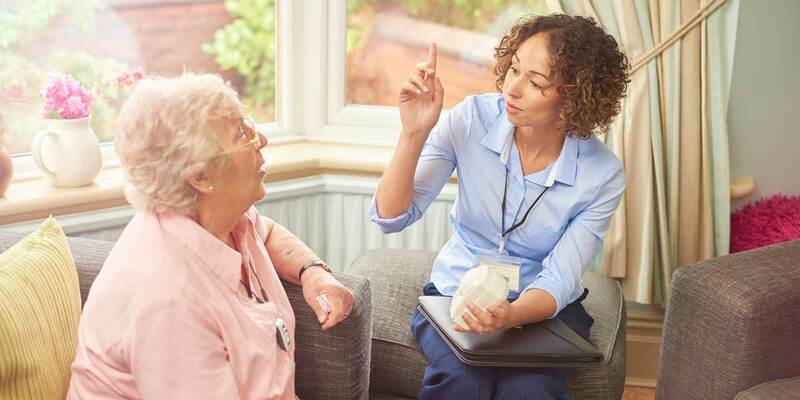 Little is more important than peace of mind when caring for an elderly loved one—these systems make it easier than ever and provide an independence they might not have otherwise. Thankfully, medical alert systems are designed not to be overly complicated. There are only two types, each with a set amount of features. A little research goes a long way in avoiding mistakes when shopping for a medical alert system. Whether your medical alert device connects to the monitoring station through a landline connection or a cellular connection is an important distinction. A cellular system allows for a broader freedom of movement. The downside to a cellular connection is that if the wearer lives somewhere with spotty cell service, the device might not activate. If you live in extremely rural areas, a landline connection is the best option. There is a third option where the medical alert system is built into an application, but we only mention it briefly so you know of its existence; we don’t recommend them, as it requires being able to unlock a phone and activate the app. After a fall, if disoriented, using smartphone menus complicates what should be a simple process. Should I Rent or Own my Medical Alert System? Most medical alert systems aren’t owned; they’re rented. If you want to own the system you use, make sure the company will allow you to purchase it outright. Otherwise, you can expect to return the medical alert system when it’s no longer needed. You’ll want to make sure they system doesn’t get seriously damaged or boxed away. The replacement cost for a rented system can be more than $1000. If you’re looking to buy a medical alert system, it’s important to know about each company’s subscription and accessory pricing. Most importantly, you’ll want to make sure your medical alert system includes a few must-have features that make it easy and comfortable to use. Things like comfort and discreetness of the wearable devices and whether the system comes with a risk-free trial are common features to look out for. The Federal Trade Commission recently warned about scammers using computers to randomly dial (robocall) seniors, pushing medical alert devices. If you are being called by someone who aggresively pushes a product or service, hang up. Do not disclose your personal information, especially payment information over the phone. Instead, look for companies with good reputations, and that are a known quantity. We began our search with 11 well-known medical alert systems. Many of the top companies are mentioned numerous times on television, radio, and social media. These are the companies most likely to be used by consumers, so we started with them. Then we went a little deeper. Many medical alert companies are regional or local. Shopping for a medical alert system is easier when you know service is available no matter where you are. If the system wasn’t available nationwide, we cut it from the list. Home security companies like ADT sometimes provide medical alert capabilities as part of an overall home security package, but we only selected companies that worked on their own. The ability to live independently shouldn’t be dependent on a larger home security system. If a system couldn’t work on its own, it was cut. Some companies hide their prices behind walls of information and hidden fees. The companies we chose make it easy to purchase equipment both over the phone and online. Many of you reading this may prefer to purchase over the phone, but a large market for medical alert devices are younger people shopping for elderly parents. Ordering online should be just as easy as ordering over the phone. If we couldn’t easily identify how much a system was and get to the purchase screen, we cut it. The medical alert technology market is growing with leaps and bounds, and it’s important for companies to be able to keep up. We kept a particular eye out for companies that offered both landline and cellular options, as well as automatic fall detection. We viewed these as a commitment to innovation, rather than offering inferior technology. If these options weren’t available in a medical system, we cut it from the list. If a medical alert system has a short battery life, it’s more dangerous than being without one—the idea that the system works provides a false comfort. We made sure the systems we looked at had enough battery life to keep our loved ones safe and cut those that didn’t last at least 24 hours. We delivered the best options to put on your radar if you or a friend or family member is in need of a medical alert system. After our evaluation, we selected four best medical alert systems: LifeStation, Medical Guardian, MobileHelp and Bay Alarm Medical. Each of these companies were good picks, and also stood out in a unique way. The company offers a variety of product levels, depending on the need. Four available product options are related to the key product decisions: cellular or landline connection, the range of the unit, and the length of the battery backup. Medical Guardian provides the option to wear a pendant on the belt, around the neck, or on the wrist. The equipment is also waterproof, allowing your loved ones to wear the device while in the bath—after all, the bathroom is the most dangerous room of the home. It also offers the Freedom Guardian: a wearable watch with alerts, reminders and location tracking ($44.95). Critically, the area where Medical Guardian excelled most was in response times. Of the reported times we could find, Medical Guardian averaged less than a minute—roughly around 50 seconds. A fast response time is one of the most important qualities of a medical alert system; if a loved one falls, you want help to arrive as quickly as possible. Prices start at $29.95 per month for the Classic Guardian unit and go as high as $79.95 per month for the Family Guardian unit. While there is no trial period, Medical Guardian provides a 10-day return period during which you can get a refund. The company locks you into a minimum 90-day commitment, although if you prepay for longer and decide you no longer want to use the service after the 90 days are up, you can receive a refund for any remaining period. Read our full Medical Guardian review. Bay Alarm Medical is very customer oriented, immediately displaying their initial starting price of $19.95 per month, as well as a 30-day trial. Bay Alarm Medical offers three packages: Basic protection ($19.95 per month), Preferred protection ($39.95 per month) and Premium protection ($59.95 per month). Automatic fall detection button can be added for an additional $9.95 per month to any of these packages. The company has an almost perfect five-star rating after almost 2,800 reviews on ConsumerAffairs. Almost all of the reviews mention the friendliness of the customer service representatives and the reliability of the equipment. Many of the reviews mentioned customer representatives by name. In our experience, that’s a sign of a truly excellent experience. Read our full Bay Alarm Medical review. LifeStation is one of the most experienced companies in the medical alert system business, and stands out for its commitment to offering affordable products and reliable service. To make sure they are always standing by in case of an emergency, the company owns and operates two US-based monitoring centers. With their system, caretakers are able to perform a silent weekly test to be notified if the system has any issues. This gives users and their loved ones the peace of mind that their system is working. We also like that LifeStation offers caregivers a complimentary alert messaging service that sends automatic email notifications in the event of an emergency. Their most basic landline service is as low as $19.95/month, less than $1 per day. This is one of the lowest prices in the industry. LifeStation’s mobile compatible device with GPS is as low as $24.95/month. Again, this is extremely competitive for GPS enabled medical alert systems. Read our full LifeStation review. We chose MobileHelp for their technology, makers of the first FDA registered mobile medical alert device. Many medical alert companies use MobileHelp manufactured equipment, and because the company produces its own equipment, it can easily stay on top of a rapidly changing and developing market. They offer a variety of products, such as the MobileHelp Classic, which provides at-home protection only. The MobileHelp Solo provides a mobile device with built-in GPS that works whether you’re at home or on the go. Because the GPS is always running, the monitoring center will know where you are even if you can’t verbally inform them. The final option, MobileHelp Duo, combines the Classic and the Solo to provide both a neck pendant and a mobile device to track you when you leave home. All of these devices are completely waterproof and compatible with the MobileHelp Fall Button, which includes automatic fall detection. There are no longer term contracts; MobileHelp allows you to cancel your service at any time by calling their customer service number, but you will be required to return all equipment unless it was purchased from a third party marketplace. Prices start at $19.95 per month for the MobileHelp Classic, $37.95 per month for the MobileHelp Solo, and $41.95 per month for the MobileHelp Duo. It also offers a wearable smartwatch for $24.95 per month. Discounts are offered when you purchase quarterly, semi-annual, or annual plans. A critical note, and one to pay attention to, is the need for cellular connectivity in your service area. The devices operate only through AT&T cellular service. If you live in an area where cellular service isn’t great, or somewhere that AT&T doesn’t operate, then MobileHelp may not be an option for you. To buy, you can check out the MobileHelp website or call 888-675-3231. Check out our full MobileHelp review. 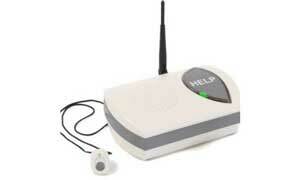 Philips Lifeline was the first company to bring the medical alert system to North America in 1974. They are the medical alert provider with the largest subscriber base. Philips Lifeline offers two main products broken down into the HomeSafe product line and the GoSafe product line. If you are an active adult, the GoSafe is created to fit your needs and allow you to continue to be mobile. If you tend to spend most of your time at home, the HomeSafe is the best pick for you. The monthly pricing for the Philips Lifeline, depends on which model you select. The HomeSafe system has two price points, $29.95 for the HomeSafe and $44.95 for the HomeSafe with fall detection. For more active individual, the GoSafe system starts at $54.95 per month. Philips Lifeline has very high reviews boasting a 4.6 out 5 stars, out of more than 3000 reviews on review sites such as ConsumerAffairs. Reviewers of the product are quick to express how safe and secure they feel, knowing that if they were to have an accident, they would be able to receive the help they need. To buy, you can check out the Philips Lifeline website or call 855-945-6677. Read our comprehensive Philips Lifeline review. Known for their home security systems, ADT also offers makes and sells three medical alert systems: Basic, Plus and On-The-Go. Read our review of ADT’s medical alert systems. Connect America offers a variety of medical alert systems including fall detection, mobile systems and cellular and landline systems. Check out our comprehensive Connect America review. Medical Care Alert offers five medical alert systems with varying features based on your situation. Check out our Medical Care Alert review for details. LifeFone Medical Alert Services makes and sells four medical alert systems that work with our landline or through AT&T’s cellular network. Read our full LifeFone review. Readers of this medical alert guide content also read these related articles. Medical alert systems come with various features depending on the type of system you buy. 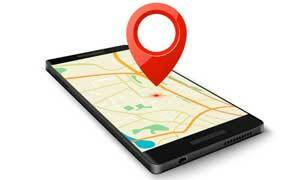 One usuful feature you can have is GPS tracking. Fall protection is another common medical alert system feature. Systems use motion detection and wearable devices that can detect a fall, triggering a call to dispatch first responders. 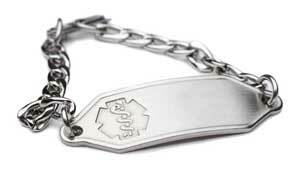 Medical alert bracelets are a great option if you’re looking for a minimal way to display your medical history that first responders should be aware of. They come in styles from casual to high-class gold, silver and white gold. How a medical alert system works depends on if the system is monitored or non-monitored. If help is needed, whether the wearer falls or is simply unable to get up, all they have to do is press a button. In many cases, if a fall is detected and the operator is unable to reach the wearer, a call will go out to a predetermined phone number (non-monitored) or help will be sent automatically (monitored). What kind of help do medical alert systems provide? Most medical alert systems will contact the wearer if a fall is detected, and will often reach out to a family member. If the fall is serious enough, the monitoring station can contact an ambulance and have it sent to the home. These systems generally priced with monthly fees that range between $25-50 per month. The features you get will determine the price, according to this Harvard research study. Although Medicare does not cover the cost of medical alert systems, there are options through things like Medicare Advantage and Medicaid reimbursment. Can medical alert systems be helpful to those that don’t speak English? The majority of monitoring stations have bilingual staff on hand. If a language is spoken that is not recognized, specialized numbers will be contacted that provide translations to more than 140 languages. Bottom Line: A medical alert system can provide an immediate response in the event of an emergency while providing a loved one with non-intrusive, round-the-clock care. These systems provide a level of dignity that many other care options do not. Take the time to speak to your parents or grandparents about purchasing one of these devices. The conversation might be difficult, but it is necessary. Explain that you are worried for their safety and want to be sure they can get help if it is needed. 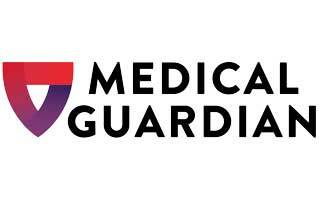 Of the four companies we examined, we chose Medical Guardian as our top recommendation. Its options, customer service, and affordability make it the best all-around service for those looking for a medical alert system. Do they have to be charged? If so, it will leave you without protection? Carol, The traditional in-home units are generally plugged into the wall and have a battery backup should the power go out. Mobile GPS units do need to be charged every few days.